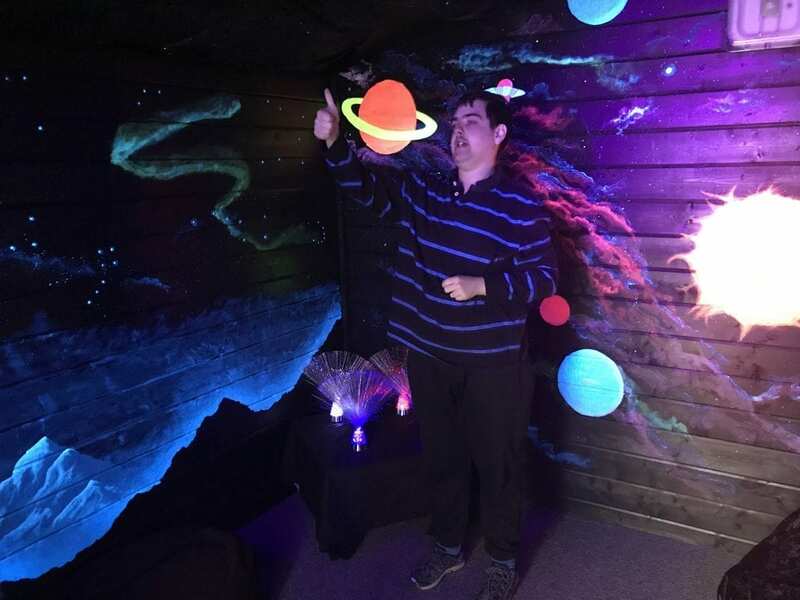 Residents at our Ferriby Lane house have been celebrating the opening of their new Sensory Room. The staff and residents at the house worked together to plan, design, paint and put together the room in the old summer house. The room has been blacked out and decorated with a space theme. The theme has been chosen by the residents and drawn by Andy, a staff member at the house. The whole team pulled together to paint and decorate the room. 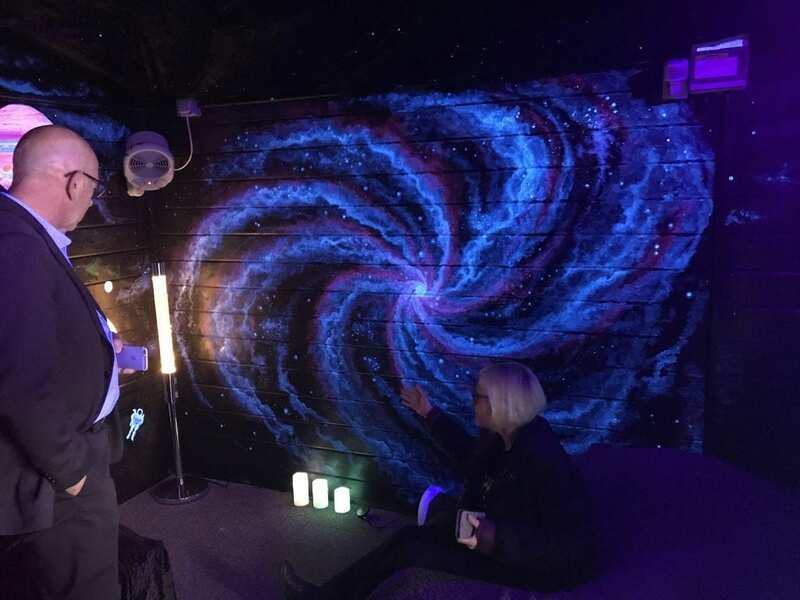 The building also now has electricity to it enabling relaxing lighting, bubble tubes and Bluetooth speakers for relaxing music and sounds to make it a truly calming, ‘chill out’ space for all the residents. 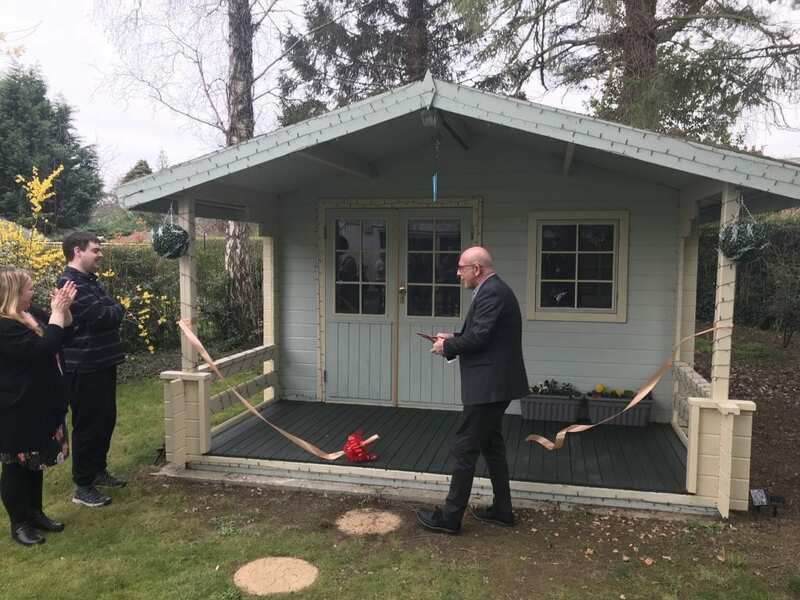 Care Director, Rex Richardson, was invited to officially open the room and cut the ribbon on Friday 22nd March 2019. William, resident at the house, gave the new room a big thumbs up and thanked Rex on behalf of all the residents for coming to officially open it. For more information on Linkage Care properties, please click here.